After my first two rural novels, I wanted to write a very urban book. And I wanted to write a novel that captured Seattle, at least my version of the city. So I started researching the transformative 1962 World's Fair, and the characters and premise emerged. This novel grew out of my reporting up along the U.S.-Canadian border at the top of Washington state after 9-11. I couldn't resist the idea of setting an offbeat novel along a border where the two countries are often divided by nothing more than a drainage ditch. TIDE is not an autobiographical novel. I wasn't a marine biology buff growing up, nor was I anywhere near as observant as Miles. But bits of my life and the people I've known are sprinkled throughout the story. When I invented Miles I expected to be entertained by him, but I came to admire him. Jim sailing with his mom when he was 11. 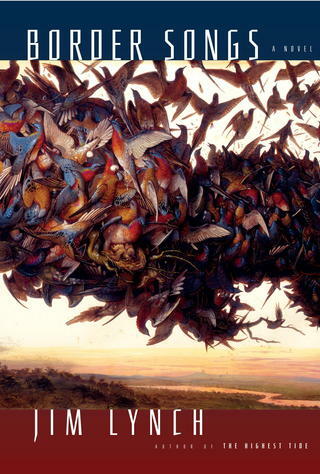 The Seattle Times has said Jim Lynch "observes like a journalist and writes like a poet." He is the author of four novels, his latest, Before the Wind, was picked as one of the best novels of the year by The Wall Street Journal and the American Library Association and became a bestseller in 2018 in France, where it was a finalist for France's Voyagers Award for literature about the sea. New York Times reviewer Janet Maslin picked his third book, Truth Like the Sun, as one of her 10 favorite books of 2012. That novel was also a finalist for the Dashiell Hammett Prize. His second novel, Border Songs (2009), was adapted to the stage and won the Washington State Book Award as well as the Indie's Choice Honor Book Award. It also became a bestseller in Canada and was an Editor's Choice by The New York Times. 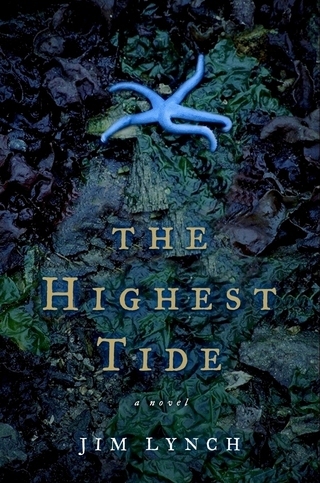 Lynch's first novel, The Highest Tide (2005), won the Pacific Northwest Booksellers Award, was also performed on stage in Seattle and became an international hit after it was featured on a British TV show. Lynch grew up in the Seattle area and graduated from the University of Washington before bouncing around the country as a reporter for newspapers in Alaska, Virginia and for columnist Jack Anderson in Washington, D.C. Returning to the Northwest, he wrote for the Spokane Spokesman-Review, the Portland Oregonian and the Seattle Times before turning to fiction full-time. His national reporting honors along the way included the George Polk Award, the H.L. Mencken Award and Livingston Young Journalist Award for National Reporting. He lives and sails in Olympia, Washington with his wife, Denise and daughter, Grace.